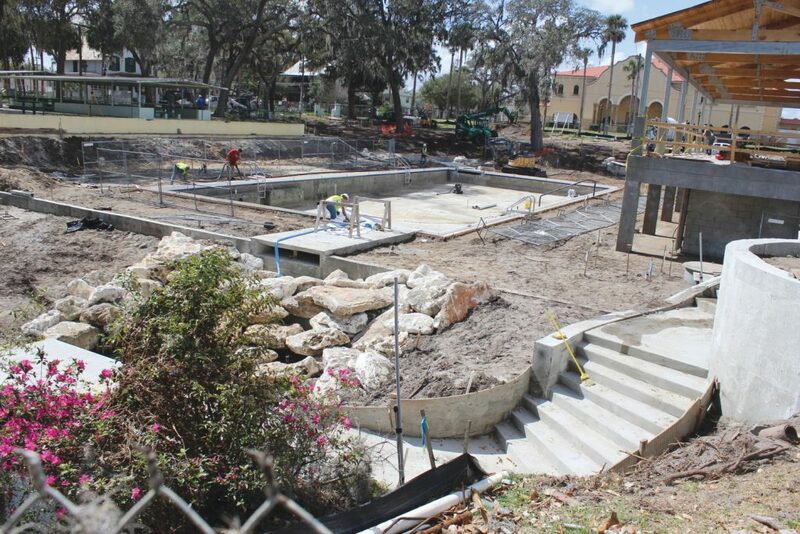 GREEN COVE SPRINGS – The City of Green Cove Springs will submit its final and best offer to the embattled contractor that performed the remodeling work on the city’s Historic Spring Park Pool. City officials discussed how CORE Construction Company of Jacksonville did not complete all of the items on the city punch list in a special afternoon meeting held Feb. 9. The city also charged $31,000 in liquidated damages charged against CORE, based on a revised contract, for failing to meet completion deadlines. In the months since CORE moved its trucks off city property last summer, attorneys for both sides have been meeting to determine what will become of the outstanding $140,000 bill the city has not paid to CORE. “Our legal counsel is not in a position to make a final offer to CORE until council authorizes the final offer,” Mayor Mitch Timberlake said at the start of the meeting. CORE’s attorneys offered to allow the city to retain $30,000 of this amount and pay CORE the remaining $110,000 during the mediation between the two attorneys. Again, according to the letter from St. Johns Law Group to Albert Franson, the city’s attorney, the city denied that offer and “demanded” that they would retain $65,000 of the total amount owed. The city said it would pay CORE the remaining $75,000 plus an additional $5,000 owed on an undisputed claim for change orders that were completed. The letter goes on to state that this offer, and any others that see the city retaining more than $30,000, would be unacceptable should the city not provide any additional information specifying deficiencies in the construction. The city provided a list at the meeting, one that had also been shared with CORE, that detailed each item that had not been completed on the original punch list. In addition to that report, the city, like CORE, had a report prepared by an outside consultant. However, the city has opted to keep the results of their report private up until this time where CORE shared their findings with all parties involved. The letter from St. Johns Law essentially calls for the city to release its findings to CORE, which would, in their opinion, allow all parties to more effectively settle on a number that everyone would be happy with.